Kyle Nash's Online Baby Book all thanks to FirstBook App! 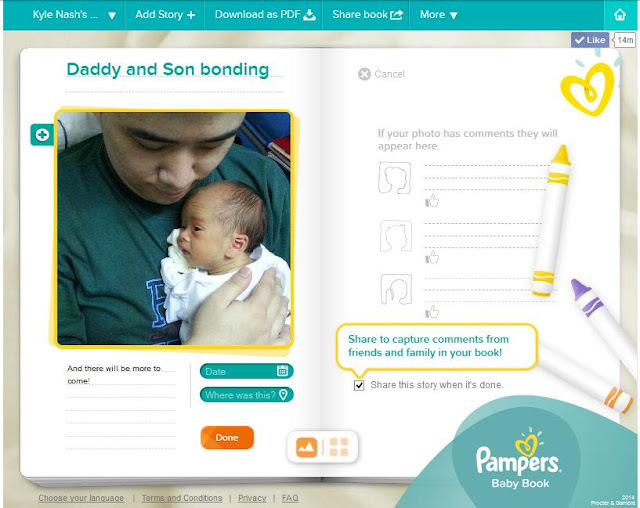 Since I was invited to be Pampers Digital Ambassador, the perks of being one is that, I get to know what they offer first! I was told Pampers created an app FirstBook! 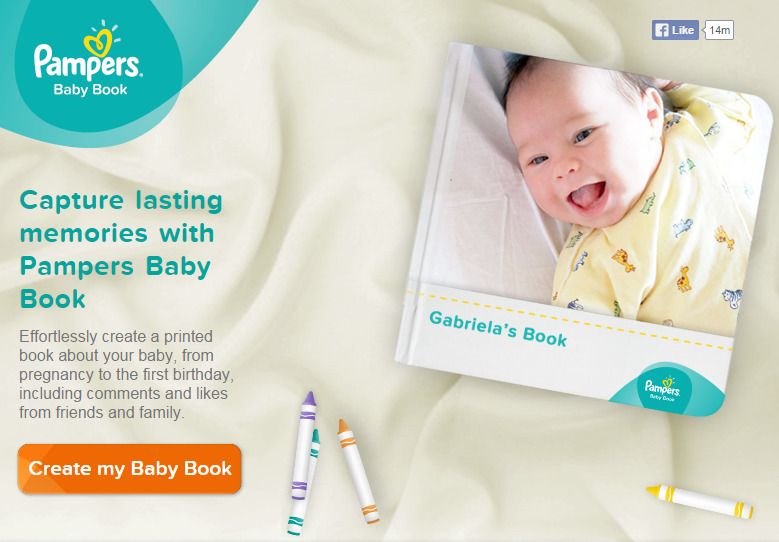 FirstBook is an online FaceBook app that allows digital-aged mommies like you and me to preserve our baby's first 12 months of development! And the fun part? 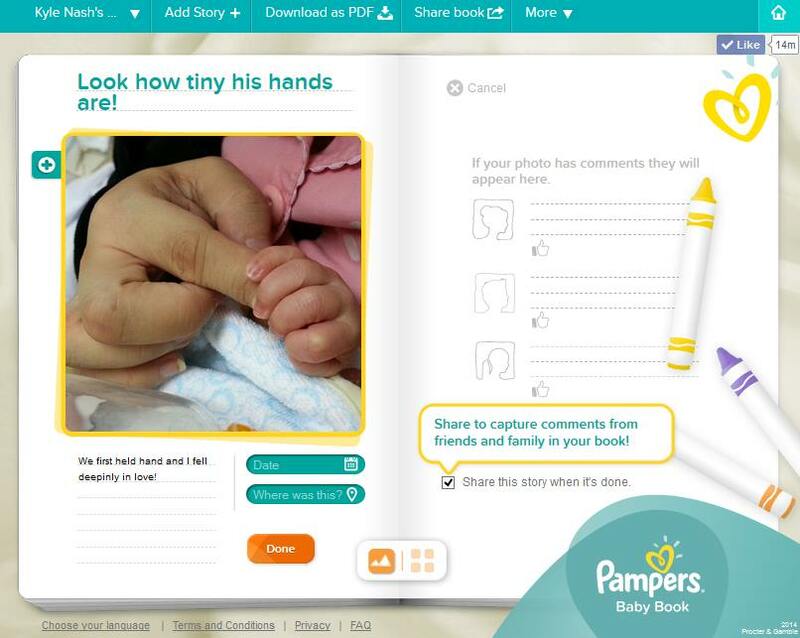 I can actually share this to my relatives abroad who haven't met my son in person yet! And of course, I don't want to be late! 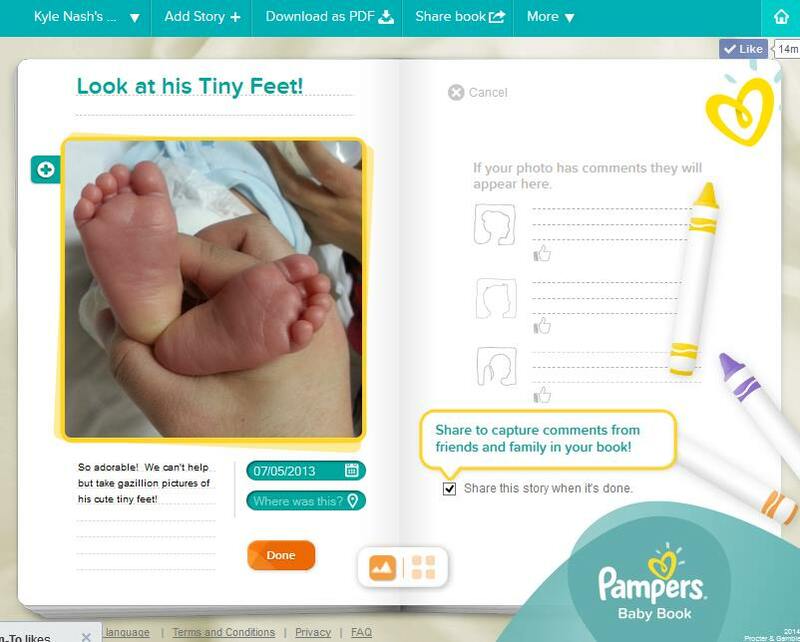 While I can still remember each important milestones of my son, I filled the FirstBook app immediately with photos and comments. Such a fun app! I really enjoyed the outcome and I can't wait to save this as a PDF file and send it to PictureBooks and have my FirstBook printed so I can show this to my mom and dad who are still into traditional "printed photos"! 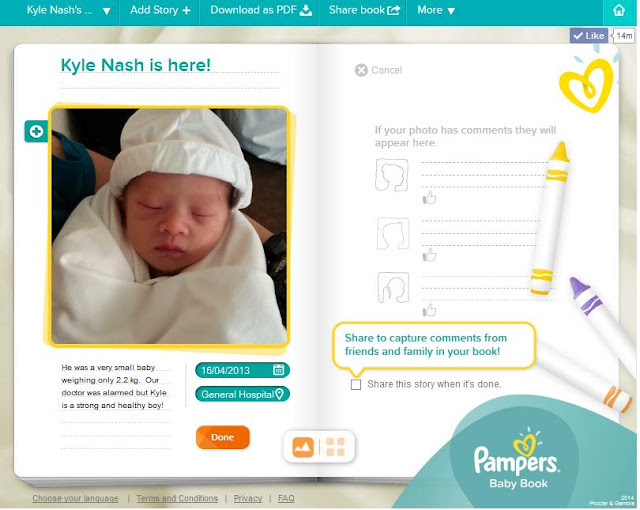 Here are just some of the snapshots of the FirstBook pages I've created for Kyle Nash! Hay, I just can't seem to make up my mind! I have so many photos I want to include and so many details to add so I can't seem to finish it for now! Will definitely share to you guys on my FB page once it's complete!